With the cold weather quickly approaching, it’s time to layer up and keep warm. As for clothing, a cozy knit sweater will do the trick. 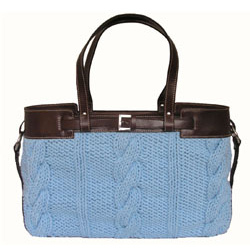 But knits aren’t just for sweaters anymore. 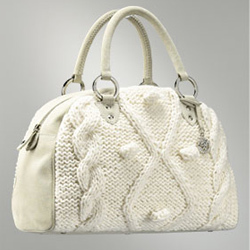 Knit bags are the perfect accessory for Fall & Winter – keeping your things both stylish and snug. 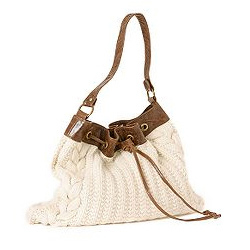 Bally’s youthful Daybelle Shoulder Bag is the ultimate in weekend casual. 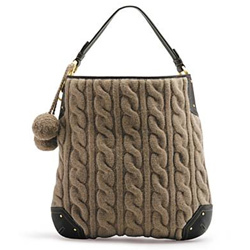 An oversized taupe bucket with a chunky cable knit body is sparingly trimmed with leather, while playful pom-pom’s dangle off to the side. 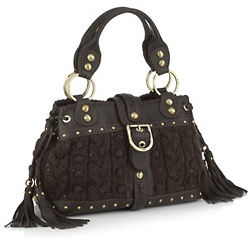 Call (212)751-3540 to purchase.